The US government has charged a 29-year-old Russian woman with conspiracy to act as a Russian government agent while infiltrating political groups. 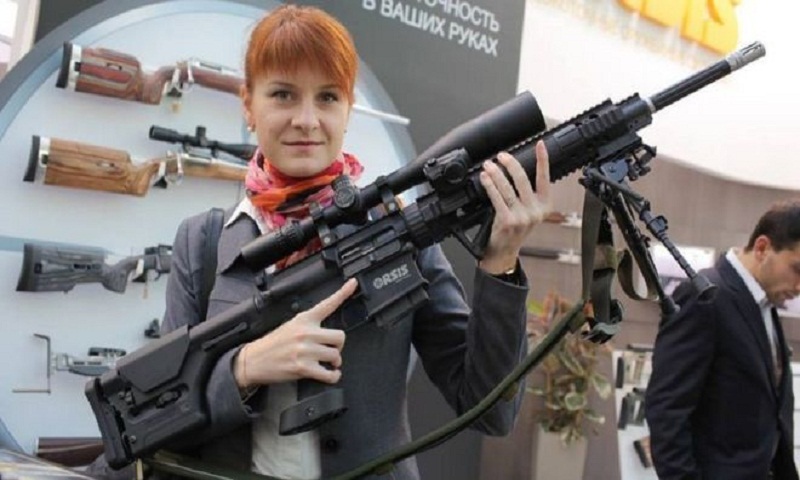 Maria Butina had developed close ties with the Republican party and had become an advocate for gun rights, according to US media reports. The charges are not related to the Mueller probe that is examining alleged Russian meddling in the 2016 election. She allegedly worked at the direction of a high-level Kremlin official. Ms Butina's attorney Robert Driscoll said in a statement released on Monday that his client was "not an agent" and instead just an international relations student "who is seeking to use her degree to pursue a career in business". He added the charges were "overblown" and there was "no indication of Butina seeking to influence or undermine any specific policy or law or the United States". Mr Driscoll said his client had "has been co-operating with various government entities for months" over the allegations. Ms Butina, who lives in Washington, was arrested on Sunday and was held in jail pending a hearing set for Wednesday, the Department of Justice (DOJ) said in a statement. The announcement of her arrest came hours after US President Donald Trump met his Russian counterpart, Vladimir Putin, and defended the Kremlin against claims of interference in the 2016 presidential election. Mr Trump said there had been no reason for Russia to meddle in the vote. The arrest also came days after the justice department charged 12 Russian intelligence officers with hacking Democratic officials in the 2016 US elections. In a sworn statement unsealed on Monday, FBI Special Agent Kevin Helson said her assignment was to "exploit personal connections with US persons having influence in American politics in an effort to advance the interests of the Russian Federation". She did so without registering her activities with the US government, as required under the Foreign Agent Registration Act, prosecutors say. Ms Butina sought to foster ties with an "organisation promoting gun rights", the DOJ said, without naming any group or politicians. According to an affidavit, she was trying to "establish a 'back channel' communication for representatives of the Government of Russia". The criminal complaint states that she focused on developing personal connections with influential US politicians to "advance the interest" of Russia. As a part of that alleged mission, the complaint says Ms Butina was organising an event to further influence "the views of US officials as those views relate to the Russian Federation". Ms Butina reported back to an official in the Russian government about her progress using Twitter direct messages among other means, according to the complaint. In one message, the Russian official told Ms Butina: "Your political star has risen in the sky. Now it is important to rise to the zenith and not burn out (fall) prematurely." The affidavit also states that the unnamed official was sanctioned by the US Treasury. Ms Butina, originally from Siberia, came to the US on a student visa to study at American University. The complaint alleges that she was in fact secretly working for the Russian government. She founded a group called the Right to Bear Arms before she arrived in America, and US media have previously reported her ties to the National Rifle Association (NRA), the most powerful gun lobby in the US. She has previously denied having worked for the Russian government. The Washington Post reported that she became an assistant to Russian banker and former senator Alexander Torshin. He was sanctioned by the US Treasury in April. Mr Torshin, who is a lifetime member of the NRA, and Ms Butina attended NRA events in the US beginning in 2014. She also attended a Trump campaign event and reportedly asked Mr Trump about his views on foreign relations with Russia.